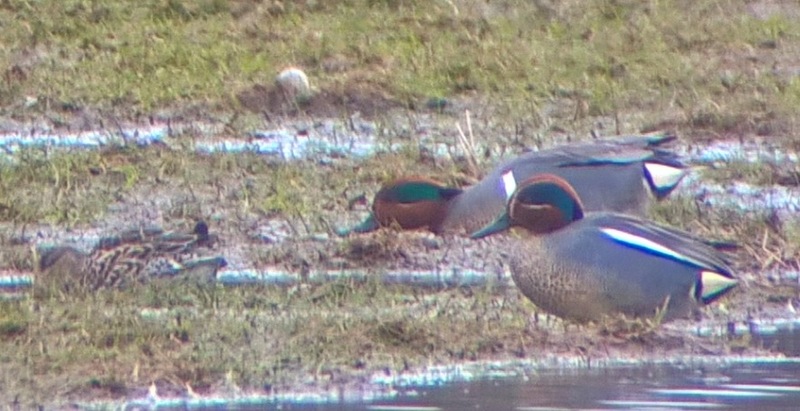 The GREEN-WINGED TEAL was still present at Herringfleet Marshes on the 19th. Five COMMON CRANES flew over Gorleston and Somerleyton on the 18th, with two flying over Oulton Broad on the 19th. A HOODED CROW flew north along the coast at Lowestoft on the 18th. 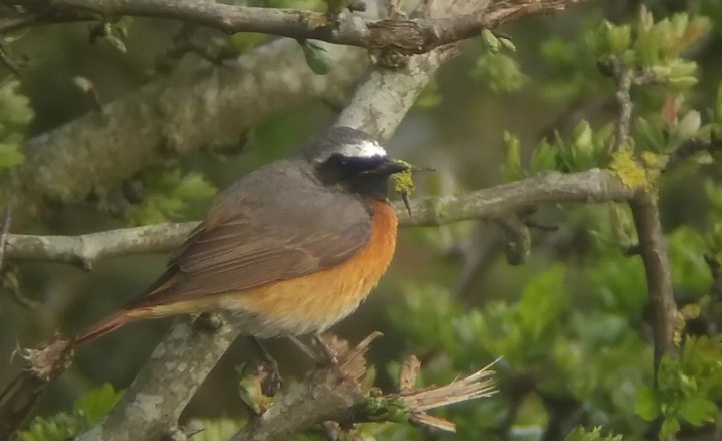 Two COMMON REDSTARTS were found on the 16th, at Gunton and at Mutford, and the first CUCKOO was back on the 17th. 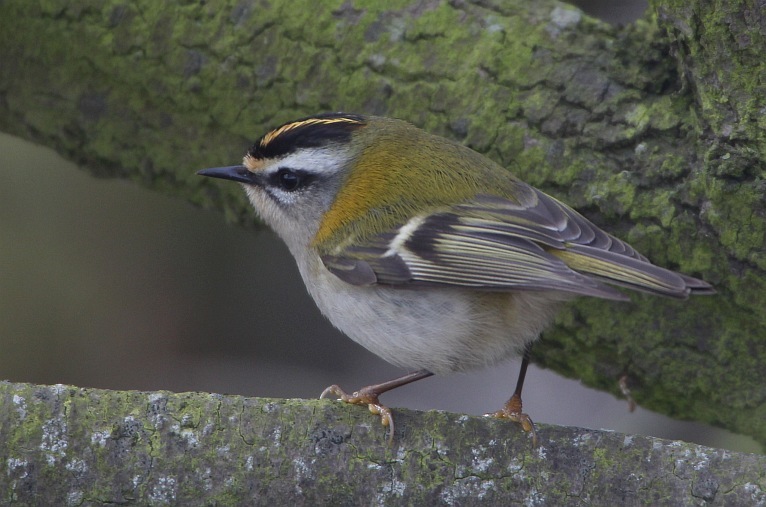 With the prolonged spell of north-easterly winds continuing throughout the weekend migration was again very subdued, though singles of TREE PIPIT, COMMON WHITETHROAT and LESSER WHITETROAT did appear on the 14th. If you wish to receive local bird news messages you can now follow @LowestoftLizard on Twitter. Ness Point - 7th (56 N). Ness Point - 13th (3 N, 1 S), 19th (1 S). Herringfleet Marshes - 12th (6), 18th (8). One flew over Oulton and Carlton Marshes on the 19th. Carlton Marshes - 14th (1). Herringfleet Marshes - 7th (2+), 14th (3), 19th (2). Fritton Lake - 15th (2). The drake found at Herringfleet Marshes on February 26th was still present on April 19th. Herringfleet Marshes - 12th (178). Ness Point - 13th (1 N). Herringfleet Marshes - 16th (1). One flew north over Oulton Broad on the 11th, it had first been seen on the Blyth estuary before heading north along the coast. Later in the afternoon it was seen at Winterton. Kessingland - 2nd (1 S). Oulton Broad - 12th (1). Lowestoft North Denes - (2). Carlton Marshes - 19th (1). Five flew over Gorleston then over Somerleyton heading southward on the morning of the 18th. Two flew over Oulton Broad on the 19th. Leathes Ham - 2nd (3). Carlton Marshes - 16th (3). Carlton Marshes - 3rd (10), 4th (10), 6th (8), 7th (10), 18th (20), 19th (7). Herringfleet Marshes - 15th (1), 19th (2). Carlton Marshes - 16th (1). 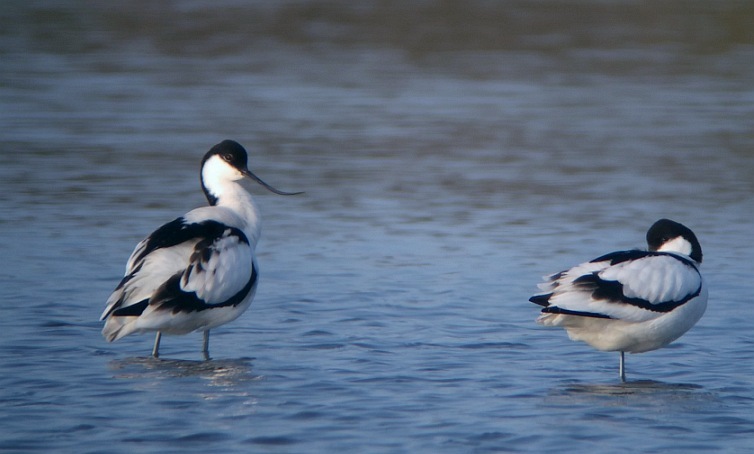 Herringfleet Marshes - 19th (5). Carlton Marshes - 5th (4), 6th (6), 7th (1). Herringfleet Marshes - 6th (8), 7th (3), 11th (2), 12th (2), 13th (3), 16th (2), 18th (1). Castle Marshes, North Cove - 9th (15). Castle Marshes, North Cove - 9th (1). Corton - 16th (1 over). Castle Marshes, North Cove - 18th (2), 19th (6). Carlton Marshes - 8th (2), 9th (2), 10th (8), 11th (1), 13th (5), 14th (3), 18th (7). 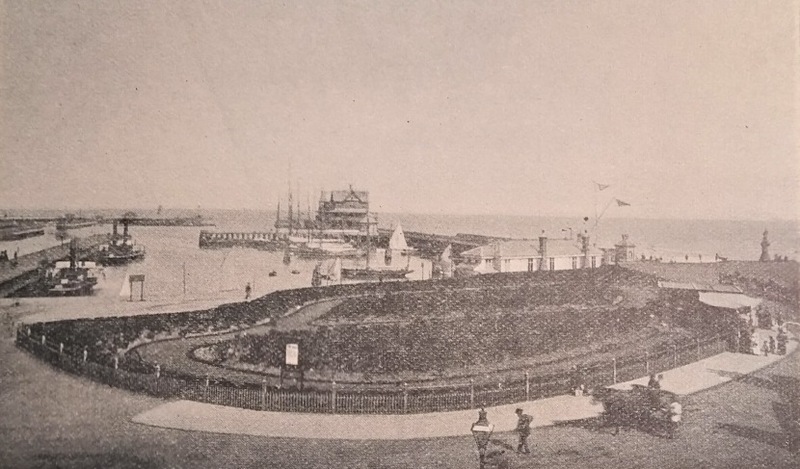 An old photo view from the late 19th century of South Pier and Yacht Club area. Herringfleet Marshes - 2nd (1), 12th (2), 16th (1), 18th (5), 19th (2). Carlton Marshes - 7th (1), 9th (1), 18th (1). Ness Point - 7th (1 N). Kessingland - 1st (40 N, 5 S). Ness Point - 7th (4 N). Kessingland - 1st (1 N). Carlton Marshes - 1st (1). Carlton Marshes - 13th (1), 14th (1), 16th (1). Carlton Marshes - 17th (1), 19th (1). Kessingland - 1st (3 N). Carlton Marshes - 3rd (40), 7th (8), 8th (1), 10th (5), 11th (15), 12th (15), 13th (25), 14th (c. 50). Corton Cliffs - 6th (5), 7th (7). Pakefield Cliffs - 7th (3 N). Carlton Marshes - 11th (2), 12th (3), 13th (4), 14th (1). Beccles Marshes - 3rd (10), 5th (2). Herringfleet Marshes - 6th (1), 12th (1), 14th (1). Carlton Marshes - 6th (3), 7th (1), 8th (4), 10th (5), 11th (5), 12th (15+), 14th (c. 20). Pakefield Cliffs - 7th (7 N). Corton Cliffs - 7th (2). Carlton Marshes - 3rd (5+), 4th (1), 6th (1), 7th (6). Herringfleet Marshes - 6th (13), 7th (1), 8th (2), 12th (8+), 13th (9), 17th (2), 18th (4). Carlton Marshes - 7th (3). Marsh Lane, Kessingland - 14th (1). Herringfleet Marshes - 17th (1). Carlton Marshes - 7th (1), 12th (2), 14th (1), 19th (1). Herringfleet Marshes - 13th (1). 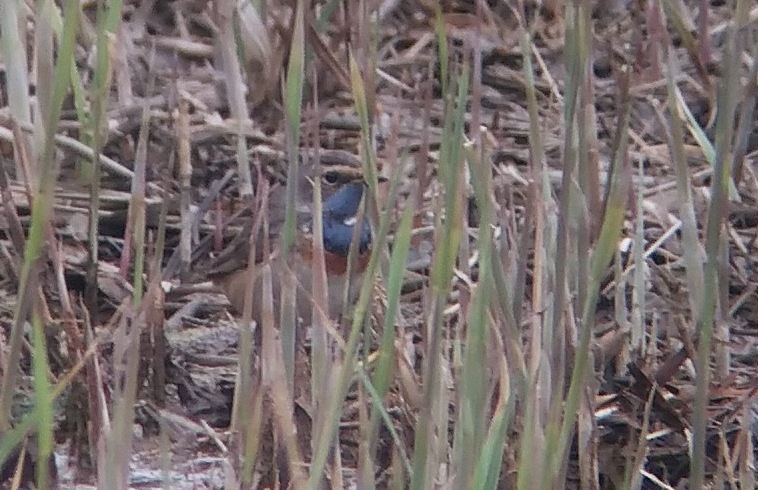 An often elusive male was in the reed stubble beside the riverbank path at Herringfleet Marshes on the 6th. 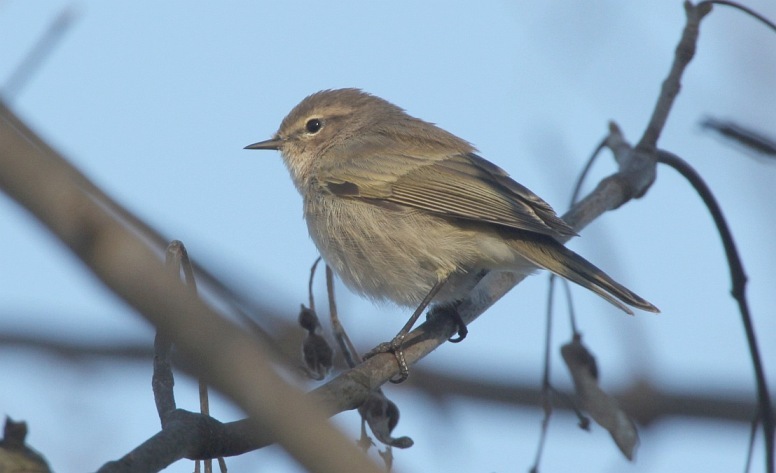 When disturbed it would fly to the riverside reeds or even across the river, but usually returned eventually. It was seen again early morning on the 7th but not subsequently. Gunton disused railtrack - 16th (1). Moat Side Farm, Mutford - 16th (1). Ness Point - 18th (1). Gunton Burial Field - 16th (1). Lowestoft North Denes - 18th (4), 19th (1). Carlton Marshes - 18th (4). Carlton Marshes - 3rd (1 singing), 16th (1). Beccles Marshes - 3rd (33 N). Oulton Marshes - 17th (2). Beccles Marshes - 3rd (3 N). North Cove - 14th (c. 30). Oulton Marshes - 17th (34). Carlton Marshes - 6th (8), 19th (8). Pakefield Cliffs - 7th (1). Oulton Marshes - 17th (1). Carlton Marshes - 14th (1 singing), 15th (1 singing), 18th (4 singing), 19th (4). Oulton Marshes - 17th (3 singing). Carlton Marshes - 5th (1), 6th (3), 7th (2), 14th (6), 19th (24). Castle Marshes, North Cove - 9th (2). Herringfleet Marshes - 12th (1), 13th (2), 15th (4), 19th (1). Oulton Marshes - 17th (9). Leathes Ham - 16th (1 singing), 18th (3). Leathes Ham - 1st (1), 4th (1), 6th (1). Kessingland sewage works - 2nd (2). Beccles Marshes - 3rd (1). Carlton Marshes - 6th (6). Oulton Marshes - 17th (13). Gunton Meadow - 14th (1 singing). Lowestoft North Denes - 18th (1), 19th (1). Dip Farm, Gunton - 18th (1). Leathes Ham - 4th (1 singing), 13th (1), 16th (2), 19th (5). Beccles Marshes - 5th (1). Oulton Marshes - 11th (2), 17th (7). Carlton Marshes - 13th (3), 14th (4). Gunton disused railtrack - 16th (2). Corton new sewage works - 16th (1). Oulton Marshes - 17th (19). 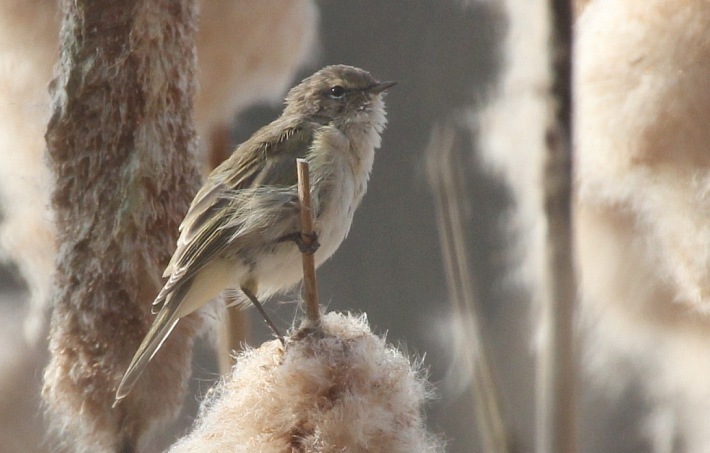 A rather tatty moulting individual was found singing at Leathes Ham on the morning of the 26th March was still present on April 6th, by which time its moult had progressed well and it was looking much smarter.. It generally favours the reed mace and willows between the car park and the tennis courts. A recording of the song of this individual is linked below. Kessingland sewage works - 2nd (1). Furze Wood, Corton - 16th (1). Corton disused railtrack - 16th (1), 19th (1). Herringfleet Marshes - 12th (2), 16th (2). Lowestoft North Denes - 18th (1 N). New Road, Bradwell - 7th (12+), 8th-11th (20+), 12th (c. 30). Lowestoft North Denes - 18th (2 S). The Hollies, Kessingland - 2nd (1).